Let's see--we have boating, fishing, swimming, golfing--and what else? While here, check out some of the various museums, try ballooning or parasailing, or have fun at one of the adventure parks or indoor water parks. 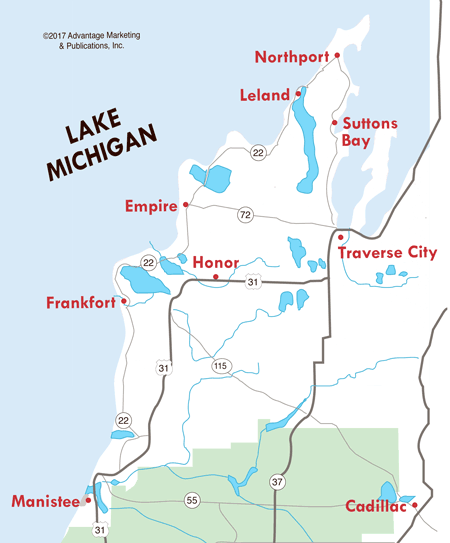 There's such a variety of things to keep you entertained while you're in the Traverse City area! Boredom is never a problem here in Traverse City! A collection of the classic and rare automatic musical instruments used in live performance. A professional minor league baseball team which plays its home games at Wuerfel Park, near Chums Corner south of Traverse City. A bicycle specialty shop, offering sales, service and rentals. Buildings of the former Northern Michigan Asylum for the mentally ill are being preserved and renovated. Siturated on wooded grounds, the Village at Grand Traverse Commons includes restaurants, retail shops, wineries, brick oven bakery and much more. Lifesize displays of Indian artifacts and Michigan animals. Close to downtown Traverse City, Hickory Hills features hiking trails in the summer and a ski area during the winter. A disc golf course is also located here. Quality art presentations and concerts as well as being a training camp for young musicians, dancers, actors, visual artists and writers. Indoor fun for the whole family includes bowling, arcade, bumper cars and gaming center. A miniature golf park with a pirate theme. A hidden gem no more, Sleeping Bear Dunes National Lakeshore was named "The Most Beautiful Place in America" by ABC's Good Morning America. Boasting 35 miles along Lake Michigan, dunes that peak over 400 feet, two islands and 21 inland lakes, this national park brings in over a million visitors every year. Different specialty cruises of varying lengths are offered during the week aboard the schooner Manitou sailing out of Traverse City. Offering a groomed cross country ski course for skating and striding with 3K, 5K, 11K and 25K loops. Beautiful scenery and skiing challenge.